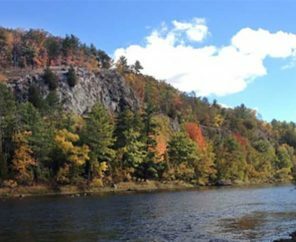 The Menominee River is loved for its hiking trails, rugged terrain, old growth forests, wilderness campsites and waterfalls. Unfortunately, this special place is threatened by a proposed open pit sulfide mine on the banks of the river. Acid mine drainage could cause irreversible harm to the river’s clean water and fish and wildlife. Eight Native American tribes have voiced opposition to the project, including the Menominee, which has sacred burial mounds on the mine site. 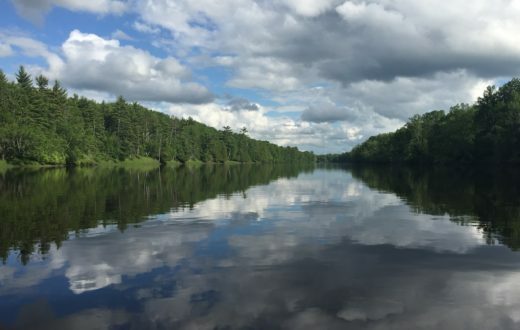 The Menominee River is simply not the place for a risky mine, and the Michigan Department of Environmental Quality must deny the Canadian mining company’s permit. The Menominee River is named after the Menominee Indians of Wisconsin. 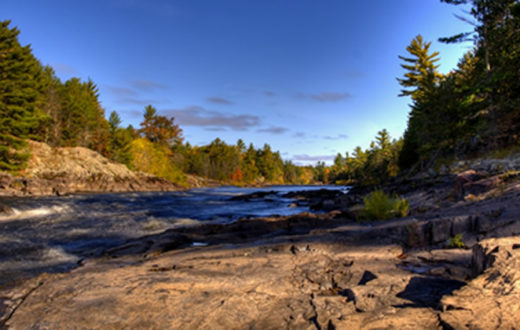 The Menominee tribal creation story tells how the people came into being at the river’s mouth. The Menominee River is approximately 120 miles long and forms the border between northeastern Wisconsin and Michigan’s Upper Peninsula, ultimately draining into Lake Michigan’s Green Bay. The largest watershed in the Upper Peninsula, and one of the largest within the Lake Michigan drainage basin, the Menominee and its tributaries drain more than 4,000 square miles. 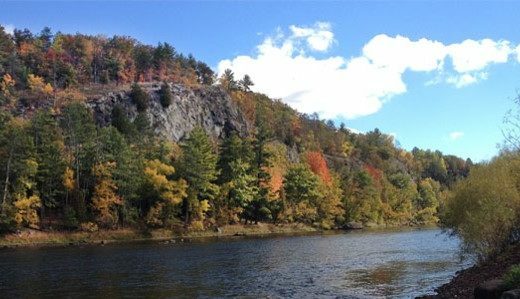 The river provides habitat for smallmouth bass, walleye, pike, trout and lake sturgeon. The smallmouth bass fishery is regarded as one of the best in North America. Area businesses, including river guiding companies, depend on the health of the river for their livelihoods. Aquila Resources, a Canadian mining company, is seeking permits for the Back Forty Project adjacent to the Menominee River, near the town of Stephenson, Michigan. This open pit sulfide mine would use cyanide to extract and process ore (gold, zinc, copper and silver) on site. Wastewater would be discharged into the Menominee River. Current projections estimate mining 16.1 million metric tons of mineralized material over 16 years. The Back Forty Project poses a significant threat to the cultural and natural resources of the Upper Peninsula, Wisconsin, and the Great Lakes region. There is a significant threat of sulfuric acid leaching harmful heavy metals, including copper, cadmium, arsenic, lead and mercury, and creating acid mine drainage impacting the Menominee River. Groundwater, rivers and ultimately Lake Michigan would become contaminated if acid mine drainage were to seep into surface and groundwater, posing a significant danger to fish and other aquatic life. These negative impacts may be amplified if, as expected, climate change intensifies storms and leads to greater precipitation across the Midwest. Consequently, the mine has the potential to adversely affect the environmental health, local economies and recreational opportunities of both northeastern Wisconsin and Michigan’s Upper Peninsula. Following the development of the Eagle nickel and copper mine in Marquette County, Michigan, the Back Forty Project would be the second sulfide mining operation constructed in the Upper Peninsula in recent years. 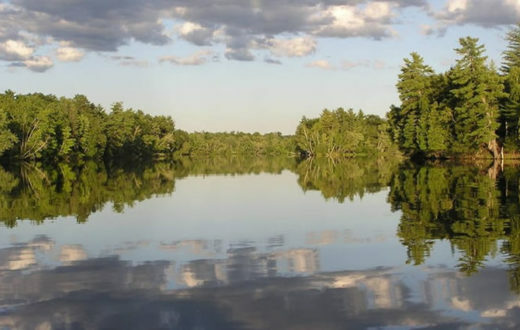 Citizens on both sides of the river, including the Superior Watershed Partnership and eight Native American tribes, have voiced opposition to the Back Forty mine due to the threat it poses to clean water and cultural values. The Menominee Indian Tribe of Wisconsin is concerned about potential impacts to the waters so central to their culture. Mining operations would desecrate burial mounds, sacred sites and other cultural resources. With mining exploration in the upper Midwest at an all-time high, careful consideration and enforceable regulations are necessary to preserve resources that are connected to the river, critical to the people and important to the region. In January 2017, the mining company applied to the Michigan Department of Environmental Quality (MDEQ) for a permit for impacts to wetlands, streams and the Menominee River floodplain. The previous application was withdrawn following a federal objection issued by the Environmental Protection Agency (EPA). The potential environmental impact of the mine is of a magnitude requiring EPA oversight. This project has already received some of the permits required by the state in order to operate the mine, and the wetlands permit is one of the last hurdles in the state approval process. It is critical that MDEQ and the EPA reject the wetlands permit and prevent the establishment of the proposed Back Forty Mine, to preserve the region’s clean water and cultural resources for today’s communities and future generations.